The Carnegie Library is in Lytham St Anne’s, Lancashire, England. The foundation stone of St. Anne’s Library was laid in August 1904 and the building was officially opened on 10 January 1906. The land was given by the St. Anne’s-on-the-Sea Land and Building Company and Andrew Carnegie, an American philanthropist, paid for the building itself. This was the first Library in the town. It was designed by local resident John Dent Harker. The building was extended in 1932. 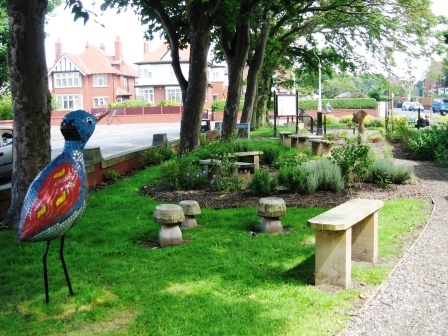 The library was administered by the St Anne’s-on-the-Sea Urban District until 1922 when the Urban District Council amalgamated with Lytham U.D.C. to form the municipal borough of Lytham St. Anne’s. 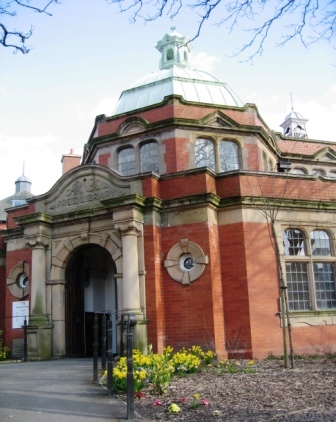 In 1974 the Library Service was taken over by Lancashire County Council and became the District Central Library of Fylde District. This group is a voluntary organisation, founded in 2008. It aims to support and promote St Anne’s library through various activities. It works in close co-operation with the library staff but functions independently of the library service, with its own constitution, funds and objectives.